The importance of collecting dead specimens or not when verifying a new species has been a hot ongoing discussion for quite a while now. Amid voiced opinions ranging from specimen collection being “no longer required” to relying on anything but physical evidence being defined as mere “malpractice,” science is now witnessing the first description of an insect species based solely on high-resolution photographs. The unequivocally new bee fly species belongs to an extremely rare genus and was described by Drs. Stephen A. Marshall from the University of Guelph, Canada, and Neal Evenhuis from the Bishop Museum, Hawaii. Their research along with their commentary on the controversial topic are published in the open-access journal ZooKeys. The authors in no way denounce dead specimen collection and dissection and even speak of it as the “gold standard” in new species description, they stress the fact that given the continued increased difficulty in obtaining permits to collect in many areas, and the resulting low probability of collecting and preserving specimens, there ought to be an alternative. 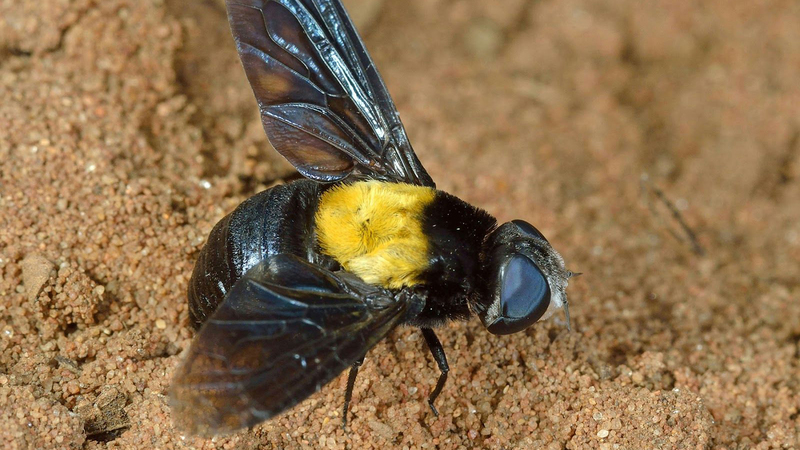 The newly described bee fly species, called Marleyimyia xylocopae, is a huge fly with a remarkable resemblance to a co-occurring carpenter bee. The new species might be a parasite of the bee, but not much is known about its behaviour. Therefore, the scientists stress that more observations are needed, something that will be encouraged by the availability of a name and an associated image. Speaking of their own experience while studying their presently described new species, the scientists point out that relying on several high-resolution photographs has not only increased their knowledge of the biodiversity of the area and the genus, but has also provided some “interesting ecological and biological information”.